Dusty black violet color. 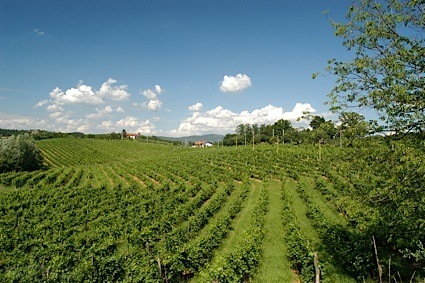 Inviting, attractive aromas and flavors of fine chocolates, smoked cherry mostarda, blackberry-sage sauce, orange oil, nutmeg, and grilled dry-aged steak with a velvety, crisp, fruity medium body and a warming, complex, medium-long finish with moderate oak flavor. A zinfandel to crave; savory, juicy, fruity, and engaging. Bottom Line: A zinfandel to crave; savory, juicy, fruity, and engaging. 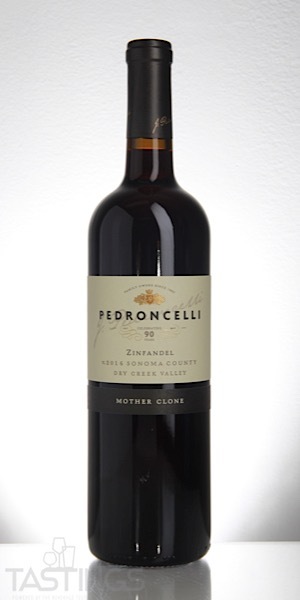 Pedroncelli 2016 Mother Clone, Zinfandel, Dry Creek Valley rating was calculated by tastings.com to be 91 points out of 100 on 10/5/2018. Please note that MSRP may have changed since the date of our review.